Assassin's Creed III Remastered is a great way to relive these classic titles for both newcomers to the series or veterans. Assassin's Creed III Remastered includes both Assassin's Creed III, all its DLC, and Assassin's Creed III: Liberation with updated visuals and gameplay systems. Both titles now feature double hidden blades, free-aiming, and an improved minimap. These are welcomed additions but the developers took care not to mess with the core systems of the original titles. Which can be both admirable and frustrating. Assassin's Creed III takes place during the end of Desmond's adventure. With the solar flare that will wipe up humanity about to happen there's one final option to save the world. Desmond, Rebecca, Shaun, and his father must locate the key to what may be humanity's last hope for survival. It controls a First Civilization machine that could save humanity. To obtain the key Desmond must relive his ancestors, the Kenway family, to find where the key is located. 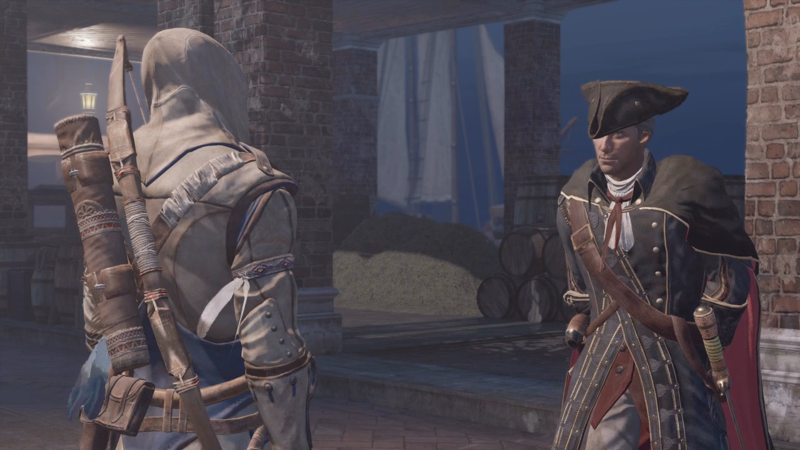 Assassin's Creed III marked the first time we get to see the Templars in a different light. We witness how the Templars and Assassins are not so different, with both sides conveying their ideology as superior and fighting over these principals. Connor takes the stage as the main protagonist. A Native American who joins the Assassin Brotherhood to protect his people is the main protagonist here. 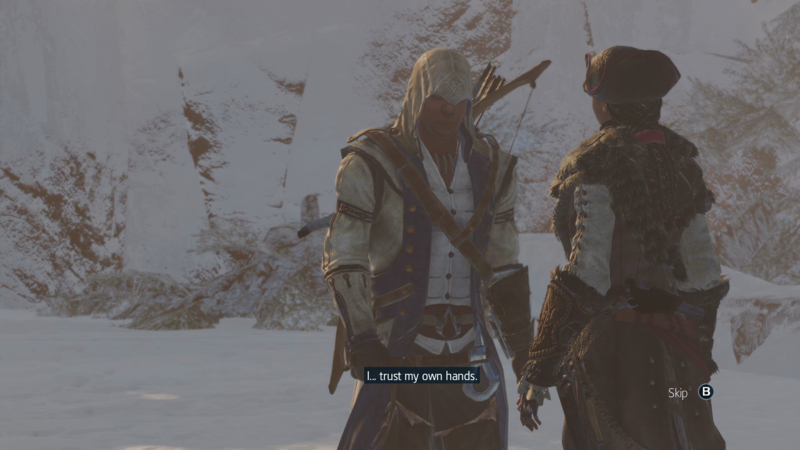 Connor has been the black sheep of the Assassin's Creed series. Many found him cold and distinct and made heavy comparisons to Ezio Auditore who was charismatic and charming. Connor is much more complicated as he isolates himself emotionally following the death of his mother. He is constantly tested as he attempts to balance his duties as an Assassin and his people's needs. Assassin's Creed III Remastered gives this misunderstood warrior a chance to shine and stand on his own merits. Assassin's Creed III was heavily criticized for its graphical issues and mostly the HD Remastered version fixes these problems. The developers have improved the frame-rate, added more avatars in the open world, and improved the overall visuals. The infamous clipping backpack when playing Desmond has also been resolved. Despite this, the game still suffers from technical problems. Clipping, graphical issues, and other technical problems that existed in the original game are still here. In the original game when playing as Haythem Kenway the waves of the ocean would clip inside the ship during the first major battle. That problem is still here. Personally, I encounter sound tearing, character models that were untextured, and even falling through the world. The developers did provide the addition of double assassinations, an improved minimap, and free aiming. These features have been heavily requested and implemented well here. But the lingering issues are still present. You still cannot fast travel from synchronization points, enemies can still track you with absurd levels of precision and sometimes will simply ignore tripping animations performed by the player. The remastered edition does include the DLC campaign The Tyranny of King Washington. It suffers from the same issues as the core campaign but also benefits from the improved visuals and systems. For those diving into Assassin's Creed III Remastered having never experienced an Assassin's Creed game before Assassin's Creed Origins will be in for a challenge. Much of the game's core systems remain untouched. This means optional tasks required for obtaining 100% completion and climbing restricted to specific areas are here. You cannot climb up cliffs without issue and options of how to complete missions are limited if you want the 100% achievement. Combat is a bit easier since players can essentially chain kill targets with ease without having to worry about levels gated with grindy goals. 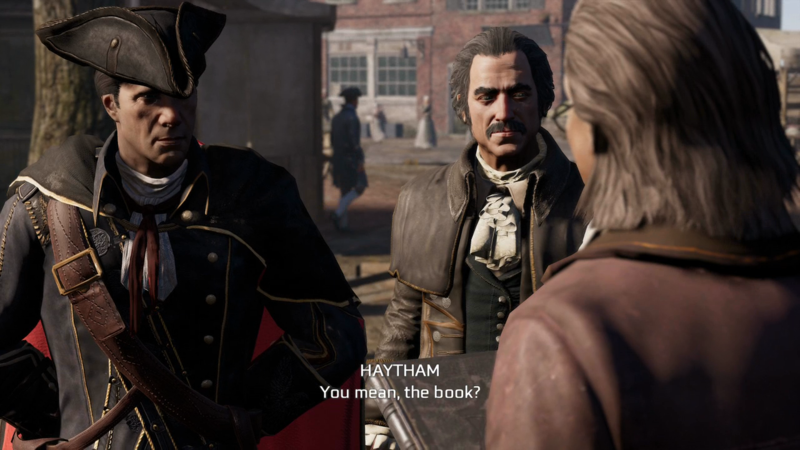 Assassin's Creed III: Liberation HD is one of the least recognized games in the series. Launched originally for the PS Vita the visuals and character models have been updated. It still carries that portable loot with blocky character models and rigid movement but its not totally unappealing. This title stars Aveline de Grandpre, a French-African Assassin who lived in New Orleans. Living as a high-society member Aveline uses her position and training to free slaves. Aveline is a strong-willed warrior who takes pride in her work and doesn't hold any symphony for slavers. Liberation is a much easier experience than most other games in the series. Due to the small separated open worlds that make up Liberation's campaign traveling isn't much of an issue and the AI is generous when ignore Aveline's murderous ways. Even on high notoriety guards are very near-sighted and forgiving. Even if you obtain full alert removing this handicap is as easy as paying off a guard or ripping down posters. The missions themselves are not particularly difficult but most importantly the full synchronization tasks are shockingly easier than any other in the series. With the exception of a handful, experienced players will be able to breeze through getting 100%. Like Assassin's Creed III Remastered, players are given access to double assassinations and free aiming. Aveline uses 3 outfits to aid in her journey; a high-society outfit to blend into crowds, a slave outfit to infiltrate plantations and the Assassin's outfit for everything else. It was an interesting system but was underused in the campaign. With missions requiring only 1 specific outfit for each mission instead of allowing for experimentation. Liberation is more stable than Connor's adventure, but given it was a PS Vita title this should come as expected. The areas a bit more manageable to explore even without the ability to fast travel but it can be hard to spot areas of interest due to the light black hue used on the icons. Strangely Liberation suffers from longer load times than AC3 and longer transitions between the menu and open world. 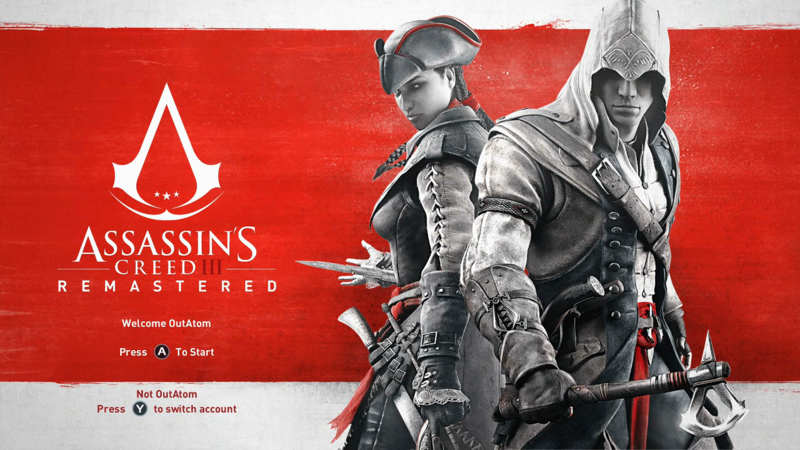 Assassin's Creed III Remastered is a great way to reexperience Connor and Aveline's adventure. The visual updates and improved mechanics do offer a modern take on these adventures. The graphical issues of Assassin's Creed III and strangely long load times for Assassin's Creed III: Liberation are vexing but not overwhelming upsetting. Whether this your first time witnessing Aveline and Connor's story or your first time Assassin's Creed III Remastered is a must play for all fans of this franchise.